Serving over 200,000 during the course of the year including delivered meals, soups, food products and new books for children. Join us today to serve the needy. 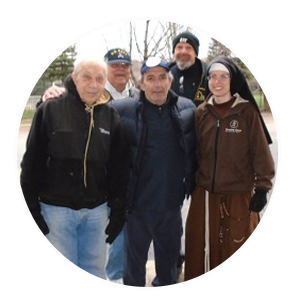 Our “Soup Ministry” feeds about 700-1000 people each week to parishes, care facilities and homeless shelters. Our goal is to feed over 20,000 people Christmas dinner this year. Help us reach our goal this year to asist the needy in the Chicagoland area on Christmas day. Don’t miss out on our upcoming events and event recaps! 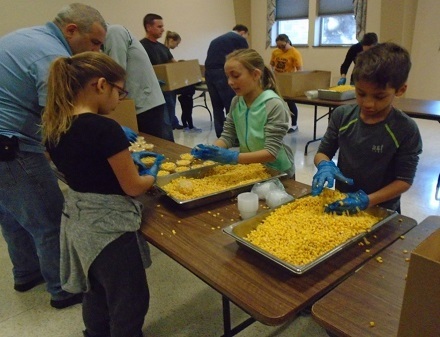 Corn Day gives even the smallest of hands a chance to serve! Each year 20,000 cups of corn are packed into the Christmas meals that are joyfully received on Christmas. We are looking for children to come and have a great time filling the corn cups this year. 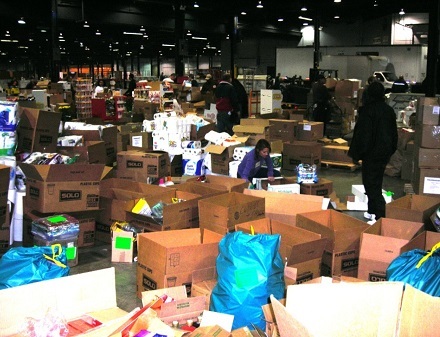 Volunteers are needed at the Rosemont Convention Center to pack up donated food. We pack the food the closing night of the event and have trucks readily available to deliver food to our warehouse for later distribution to the hungry.